To glass or not to glass. So I attended Google IO 2012 and like many others, signed up to receive a Google glass. I received the "your glass is available" email a few weeks ago and and have been sitting on the fence trying to make up my mind. Apparently the offer isn't indefinite, as I just received a voicemail that I had until June 1st to get glass or forfeit my opportunity. My original intent was to get the glass and try to build something really cool with it, just like I did when Android first hit the scene. Unfortunately after looking into the mirror SDK and learning about the devices capabilities, I'm just not all that excited about developing for glass. It seems like it's a glorified feed reader (timelines) that requires a web-api, and wasn't designed to run apps natively. It's basically just a nice (useful) extension of your smartphone. I've still got a dozen ideas for smart phone apps rattling around in my brain that I will never have time to build. But with regards to glass, the best idea I've heard about from another developer was a shopping list app. As a consumer I'm excited about using a glass, but I'm not sure that I want to pay $1500 for one. I think it's going to be a fantastic way to do video conferencing, a navigation aid, an easy way to capture spontaneous videos/photos, to keep on top of important alerts ( incoming calls / emails / tweets / facebook posts / whatever). All of this stuff is going to be very cool, but the infrastructure is already there, glass just presents another interface for it. 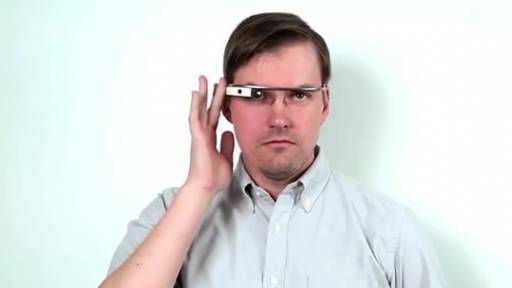 Glass is going to make a lot of things we already do easier and more convenient. And perhaps it will make some semi-good ideas just practical enough to become good ideas. The innovation spurred by this hardware won't be driven by software, but by how people will discover interesting ways to use the device. So to the title of my post, any comments? Should I or shouldn't I, what would you do in my situation? Keep in mind that while I can afford the $1500 pricetag, I don't consider it a trivial sum of money. I look forward to any comments (hopefully I'll get a couple).